At the Law Office of Kelly S. Wachs, A Professional Law Corporation, we have one mission: to help employers, employees, and investors navigate the complex immigration process and accomplish their visa goals. As a small firm, we provide you the personal attention needed to secure employment-related immigrant, nonimmigrant, and investment visas, while keeping the process as stress-free as possible. The employment immigration system can be daunting. Each employment category for admission has different requirements, conditions, and authorized periods of stay. The red tape involved is enough to cause both employers and employees unneeded stress and confusion. Our staff can provide personalized service, answer your questions and calls promptly, and help you work through the process. 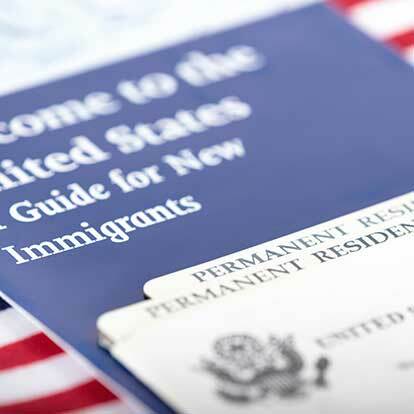 Whether you are a business seeking to sponsor a foreign worker, you would like to enter the United States as an immigrant employee, or you are an entrepreneur seeking to start a business in the United States, we can help you work through the immigration process to find a solution that best meets your needs. Let us take the burden off your shoulders and provide knowledgeable, expert representation to accomplish your employment goals. We can help you secure the visa you need to do business, work, or start a business in the U.S. We fully review your case, help you gather the documents you need to file, prepare and submit your visa application, and track the progress of your case. Whether you are interested in a Green Card EB visa for permanent residence, an H-1B visa or temporary work visa, an E-1/E-2 trade/investment visa, or a National Interest Waiver, we can help. We are located in Northern California just an hour from the heart of Silicon Valley, and we work with clients everywhere—the San Francisco Bay Area, throughout California, across the U.S., and around the world. Contact us to schedule an appointment with a lawyer specializing in employment-based immigration, immigrant visas, nonimmigrant visas, and investment and entrepreneur visas.